Home NEWS & EVENTS Congratulations to Bergen Arts and Science Charter High School! Congratulations to Bergen Arts and Science Charter High School! 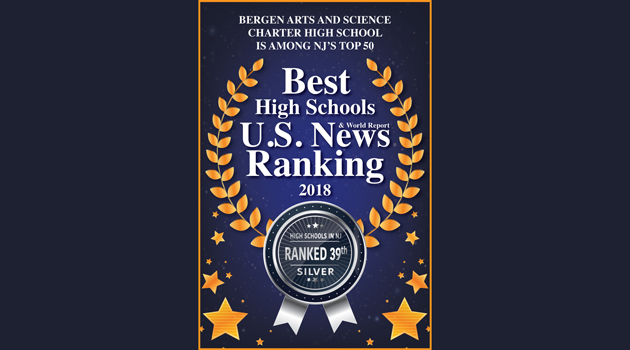 This is the second consecutive year that Bergen Arts & Science Charter High School has been recognized as one of New Jersey’s top 50 High Schools according to the newly released U.S. News and World Report. Numerous NJ schools are in the 2018 U.S. News Best High Schools rankings, including 25 with gold medals, 46 with silver medals, and 35 with bronze medals. In addition to being ranked 39th in the state, Bergen Arts and Science Charter High School is also ranked 1,149th across the entire nation and earned a silver medal. 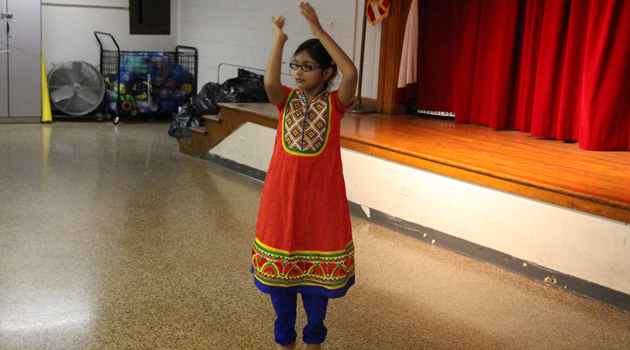 Schools are ranked based on their performance on state-mandated tests, as well as on how well they are able to prepare students for college.